Oct. 17, 2018 — A new Emerson College poll (Oct. 10-12; 625 likely Nevada voters) projects Sen. Dean Heller (R) to a 48-41 percent lead over freshman Rep. Jacky Rosen (D-Henderson), which is the largest lead for either candidate since the June 12th primary. For most of the election cycle, this race has been rated as a toss-up campaign, but most prognosticators believed it would eventually tilt toward the Democrats yielding a challenger victory. Viewed as a state trending Democratic because of Hillary Clinton’s 48-45 percent victory in the most recent presidential campaign added to President Obama winning here in both of his elections: 52-46 percent over Mitt Romney, and in a 55-43 percent landslide over John McCain, the 2014 Republican sweep from the governor’s race through the state legislative campaigns has generally been disregarded as an anomaly. Outgoing Gov. Brian Sandoval (R) has strong approval ratings and would clearly be a re-election favorite if the state did not have a term limit law. The governor is playing an interesting role in this year’s campaign. He is featured prominently in Sen. Heller’s advertising but refuses to endorse Attorney General Adam Laxalt (R) as his successor because the latter man refuses to support the Sandoval tax program, which is becoming the governor’s legacy as Nevada’s chief executive. Sept. 19, 2018 — A new survey was just released covering the two Nevada statewide campaigns, and the results are curious. Gravis Marketing tested the Silver State electorate (Sept. 11-12; 700 likely Nevada voters) and finds consistency with other polling in one race but projects a major change in the other. 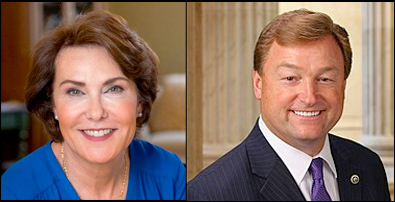 According to Gravis, Rep. Jacky Rosen (D-Henderson) holds a 47-45 percent lead over Sen. Dean Heller (R) in the US Senate campaign. Such a conclusion is well within the range of other published data. Just as Gravis was beginning their survey process, Suffolk University was ending theirs (Sept. 5-10; 500 likely Nevada voters), and they saw Rep. Rosen holding a similarly close 42-41 percent edge. Suffolk also surveyed in late July (July 24-29; 500 likely Nevada voters) and found Sen. Heller clinging to a one-point 41-40 percent lead. All of these consistent findings suggest the Senate race has been, and continues to be, a pure toss-up. But the same Gravis polling sample produced a radically different conclusion for the open governor’s race. All other previous data found Clark County Commissioner Steve Sisolak (D) and Attorney General Adam Laxalt (R) locked in a close battle. The same two previous polls cited above for the Senate race, Suffolk University’s Sept. 5-10 survey and their July 24-29 study, actually found Sisolak ahead only 37-35 percent in the former, while Laxalt actually led 42-41 percent in the earlier poll. Aug. 2, 2018 — A new Suffolk University survey (July 24-29; 500 likely Nevada voters) returns numbers that again show Sen. Dean Heller (R) and Rep. Jacky Rosen (D-Henderson) falling within the margin of polling error with neither candidate attracting majority support. According to Suffolk, Sen. Heller leads Rep. Rosen by a bare 41-40 percent margin, meaning the two are virtually tied. This is the first poll since mid-April that projects the senator to any kind of an advantage, but even the four surveys in between, all of which favored Rep. Rosen, showed margin spreads in the realm of two to six points. Of the eight polls publicized for this race during the entire election cycle, in only one, the April Survey Monkey study, did either candidate ever reach the 50 percent mark (Rosen, 50-44 percent; Survey Monkey; April 2-23; 1,332 Nevada registered voters in the Survey Monkey pool). Suffolk also tested the state’s open governor’s race, and found an equally tight contest. Here, Republican Attorney General Adam Laxalt posts a 42-41 percent tally over Democratic Clark County Commissioner Steve Sisolak. 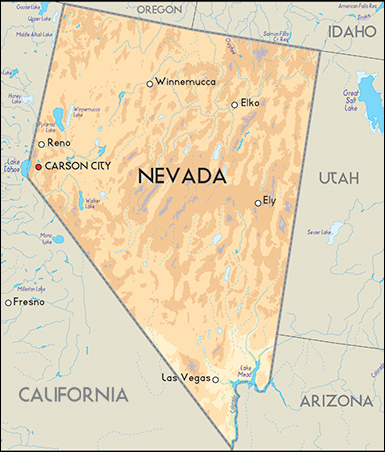 In the one previously released post-primary general election poll, from Gravis Marketing (June 23-26; 630 likely Nevada general election voters), an almost identical result was projected: Laxalt leading 43-41 percent. The Nevada Senate race is one of the most important in the nation this year, and one of two main Democratic conversion targets (the open race in Arizona is the other). Winning this race is the only gateway to the Democrats potentially gaining the Senate majority, thus we can expect to see major political action in this state for the remaining prime campaign months.